...The Noble Romance Authors' blog today! So, so excited, because I get to tell you all some more about my upcoming release, Walking The Edge (Corpus Brides: Book One)! "...All three of the above have played a part in my story coming together....Now what on earth do cold medication, SpongeBob, and Angelina Jolie have in common with a romantic suspense-slash-mystery-slash-thriller? 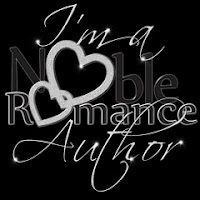 Let me explain, and for this, I need to tell you a bit more about the book...."
Come read the whole post over at the Noble Romance Author's blog, and leave me a comment.